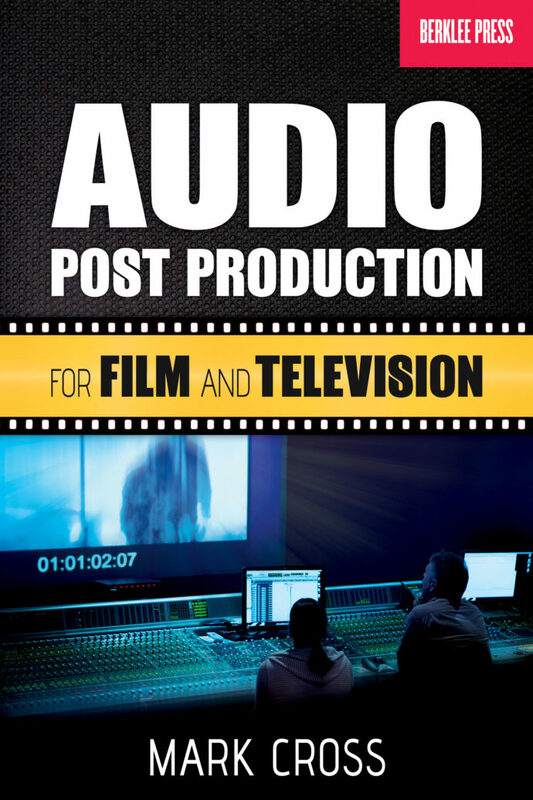 Audio Post Production for Film and Television by Mark Cross is definitely a must read if you are involved in any way with any step of Film and TV audio post-production. Mark Cross has been involved in Film and TV audio post-prod on numerous projects at various positions, and he has acquired a deep understanding of all the processes involved as well as all the transformations resulting from the digital revolution. Audio post-prod for Film and TV usually deals with four components : dialogue, sound effects (SFX), foley (sounds that are made to match some action on screen), and music. For each of those components (also called stems), Mark Cross guides you through all the steps involved: preparation, recording, editing, and mixing. Any challenge specific to each of those stems is clearly explained and a solution provided. Finally, the final mix (also called final dub or print master) is explained step by step (how you combine the various stems to produce the print master). It also involves building the right deliverables at the right formats. And usually building templates you can later reuse in your favorite DAW (Digital Audio Workstation). Audio post-prod for Film and TV won’t have any secret for you anymore once you’ve read that book and integrated its content.